What Schemes Can YOU Imagine? 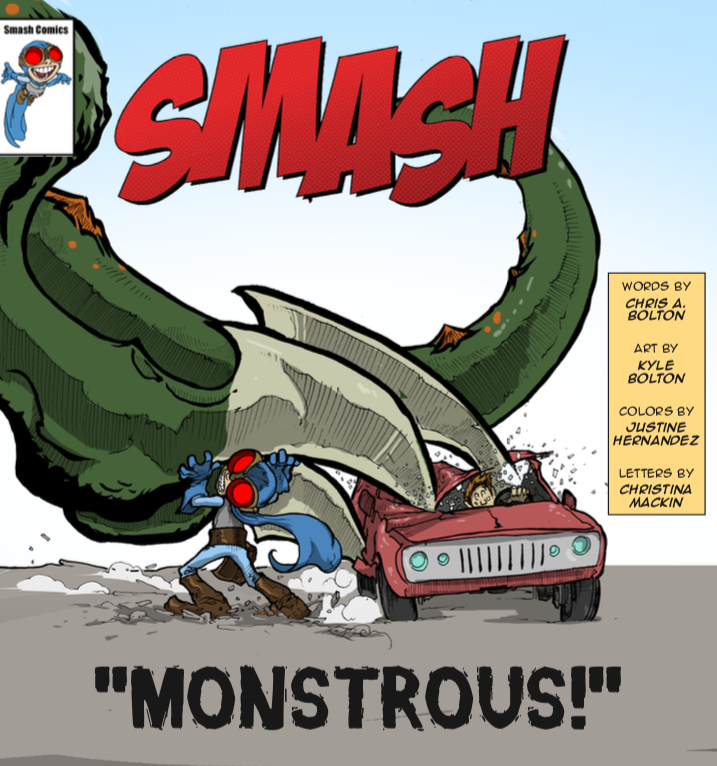 This week's entry in our continuing Smash webcomic invites you to ponder what delicious schemes YOU would finance if you had a giant robot monster at your disposal! Even superheroes have to make little compromises. Smash Vs. Giant Monster: New Page! 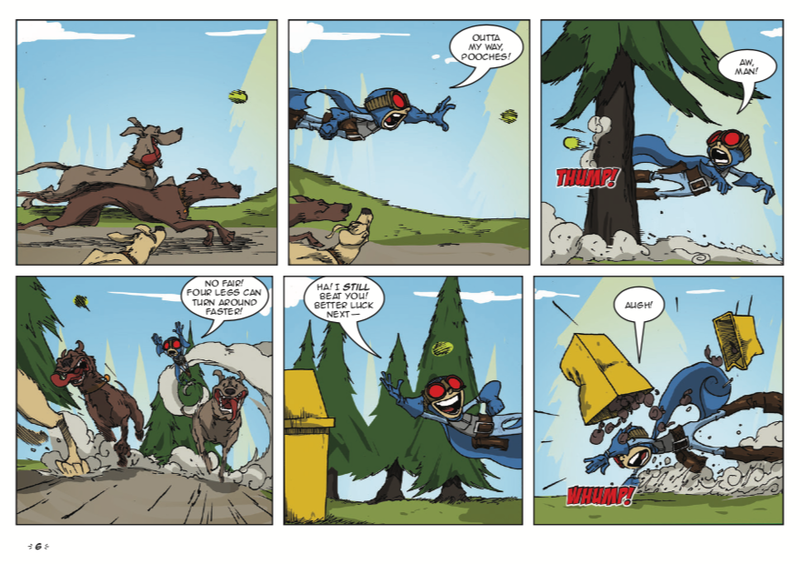 Each week, we present a new webcomic page. These pages will NOT be featured in Book 2! 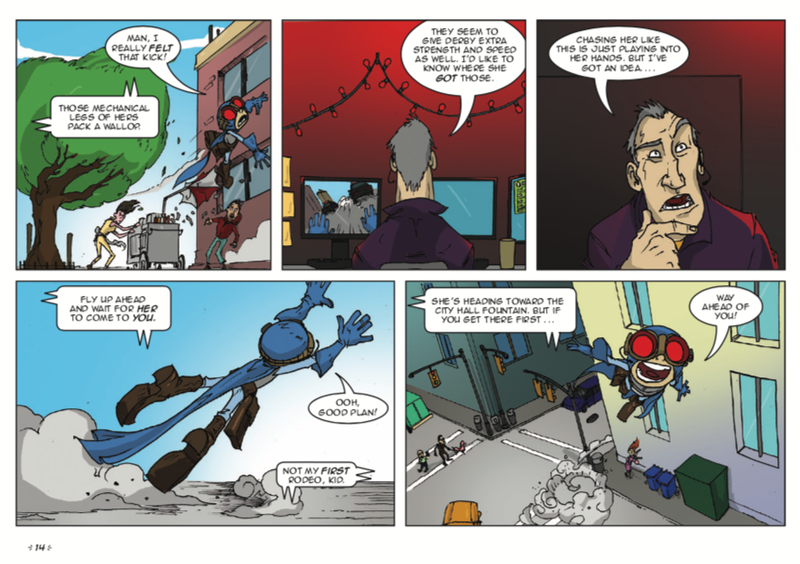 The webcomic exists online only and is a complete, stand-alone story. So don't wait -- click to read now! Crimson Fist has a plan! New SMASH Webcomic: Meet the Bad Guy! 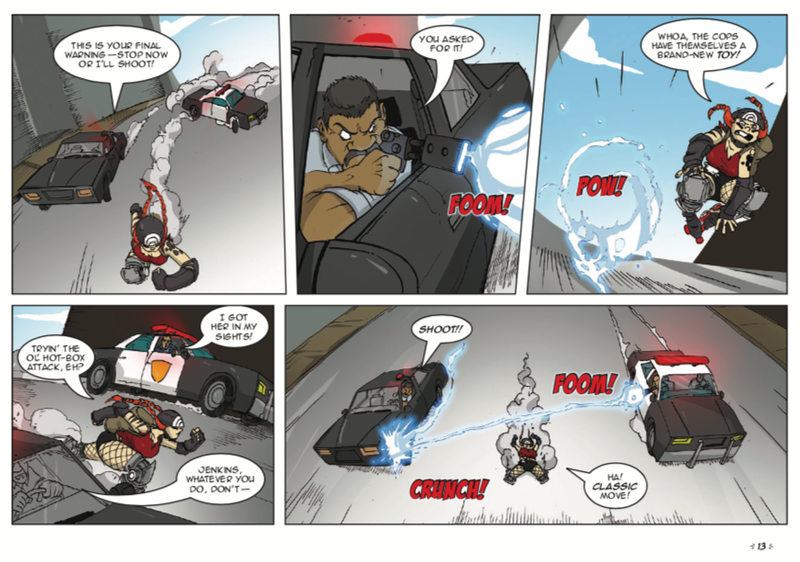 Today we posted page 14 of our weekly webcomic, "Monstrous." This week, it's time to bring on the bad guys! Meet the big bad lurking behind the scenes... and see what he's really up to! Click here to read the comic now. 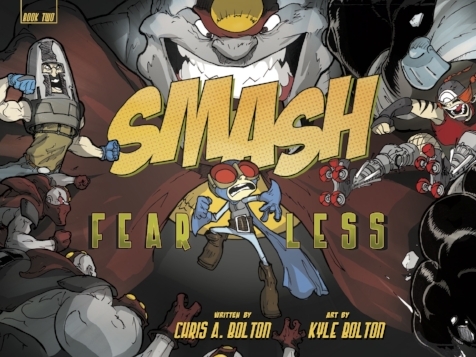 FYI: The SMASH webcomic is **not** Book 2! The online material is brand-new and doesn't spoil anything in the upcoming book (or even in the first book), so feel free to read without reservations! 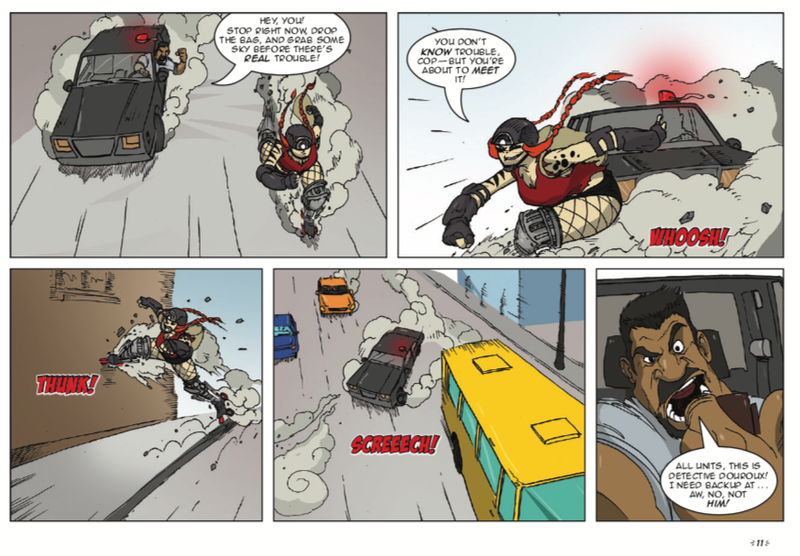 We post a new page of our webcomic every Tuesday. Click here to read it now!